The bards of Waterdeep remember the past. Or do they? Even as they sing their ballads, a mysterious spell is changing their memories. Danilo Thann, Harper and would-be bard, sets out to uncover the mystery. 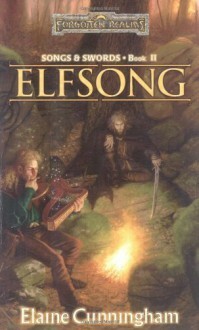 In this quest, his closest companion is his deadliest enemy, the rogue elf Elaith Craulnober.At stake is not merely the future of Faerûn but also its past.